Are women in FLOSS considered as bugs, groupies, or equal partners in their field of skills? "Most discrimination of all kinds is utterly unintentional, and that kind of discrimination is harder to tackle because there is no evil intent and no-one to directly blame. It still needs tackling and that is in part about making people understand when their culture and actions put off or exclude others." Alan Cox. Anne Østergaard holds a Law Degree from The University of Copenhagen. After a decade in government service, international organizations, and private enterprise she is presently an Libre Software entrepreneur. In her spare time Anne Østergaard serves as Vice Chairman of the GNOME Foundation Board of Directors. 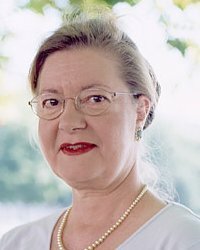 As a member of the Eurolinux Alliance, Anne Østergaard is working against the legalisation of software patents in Europe. Anne Østergaard is also working for free and open standards and file formats, Libre Software in education (The MoLOS or Master Libre Project), the health sector and FLOSS as development aide, privacy on the Internet and more women in the ICT sector.